Ashbridge’s Bay Yacht Club (ABYC), one of Toronto’s premier sailing clubs for both novice and experienced sailors, is built on activity, on the water and ashore. Our members are involved in racing, cruising, and day-sailing during the boating season and participate in a diverse range of social events throughout the year. We’re a family-friendly club with activities and facilities for all ages. Known for its spacious clubhouse with bar and restaurant in the heart of Toronto’s Eastern Beaches community, ABYC is also recognized throughout the Lake Ontario region and beyond for running major championship racing regattas, for nurturing sailors young and old through its highly respected junior sailing school, adult keelboat program and intermediate cruising course and for offering great camaraderie through cruising, parties and other events. Annually we hold an open house for persons interested in joining us at ABYC. 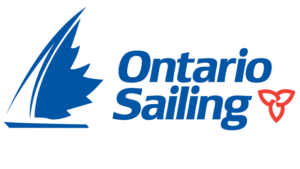 At the open house you can learn about our sailing schools for both juniors and adults and other membership opportunities. We welcome those, without boats, who are interested in learning how to crew on a Senior Member’s boat or how to participate in our keelboat and dinghy co-op programs. And of course, we would be delighted to talk with sailors who have their own dinghy, daysailer, cruising keelboat, racing keelboat, kayak or paddleboard. It’s all here for you in Toronto’s east Beaches neighbourhood. Written by: Ashbridge's Bay Yacht Club on March 8, 2016. Last revised by: Krystal Smith, our reviewer, on August 10, 2018.